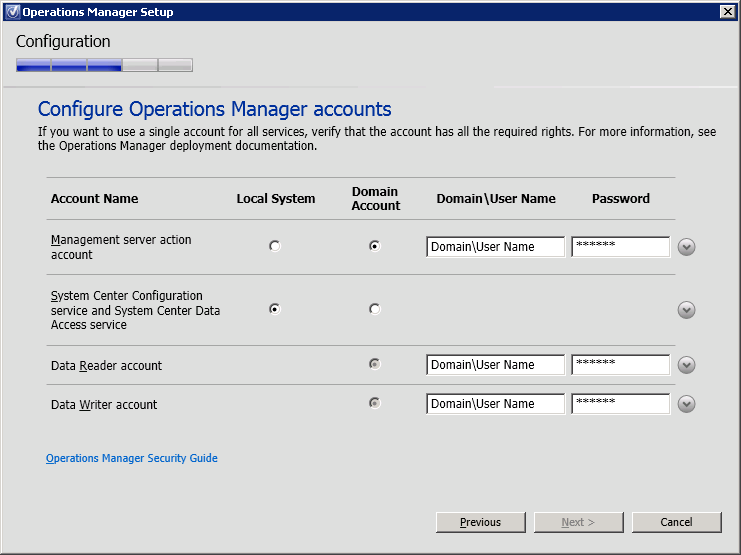 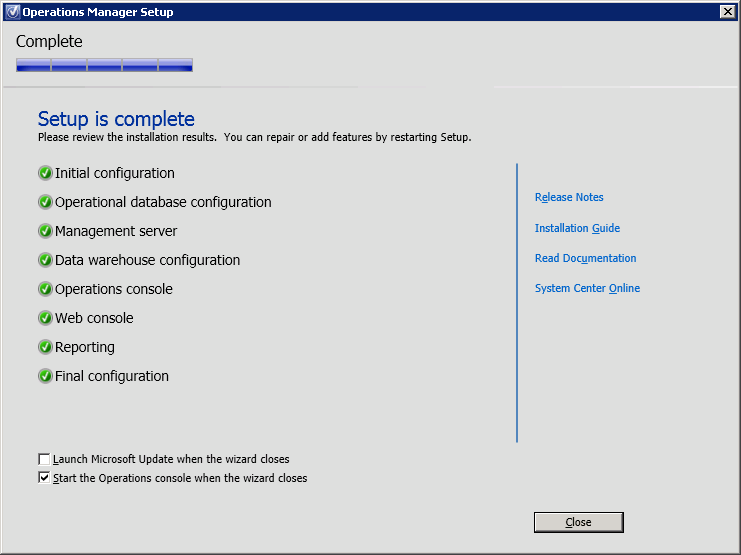 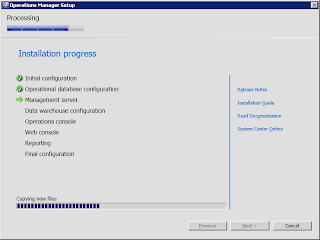 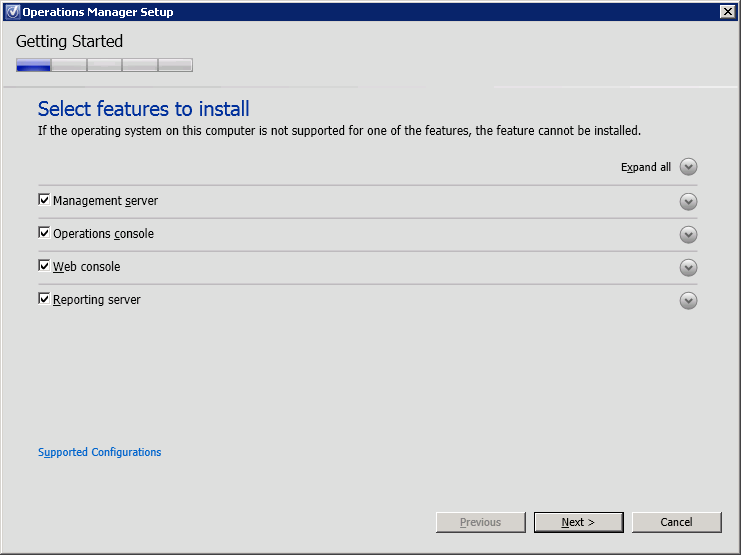 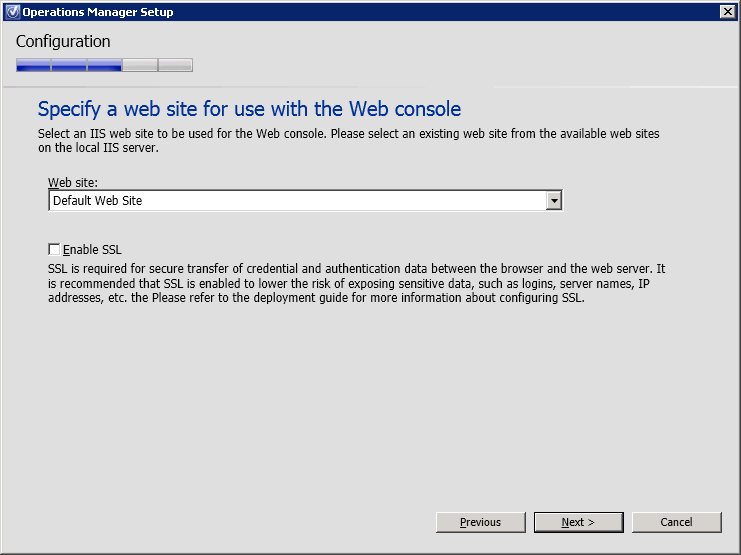 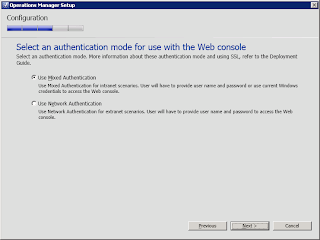 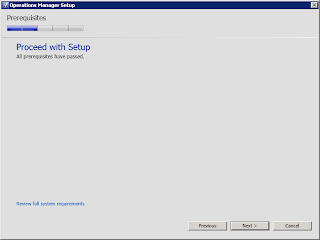 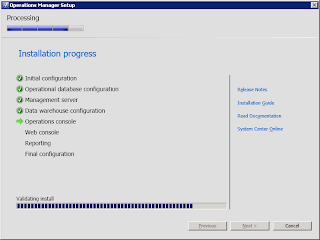 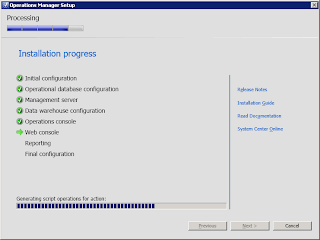 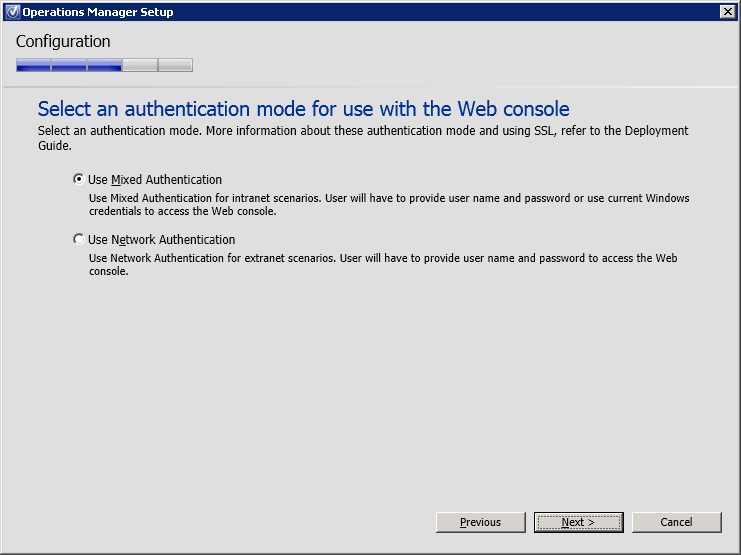 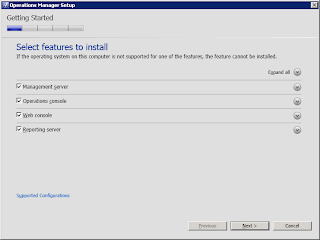 This is a simple deployment of SCOM 2012 installing all roles on a single Windows 2008 R2 server. 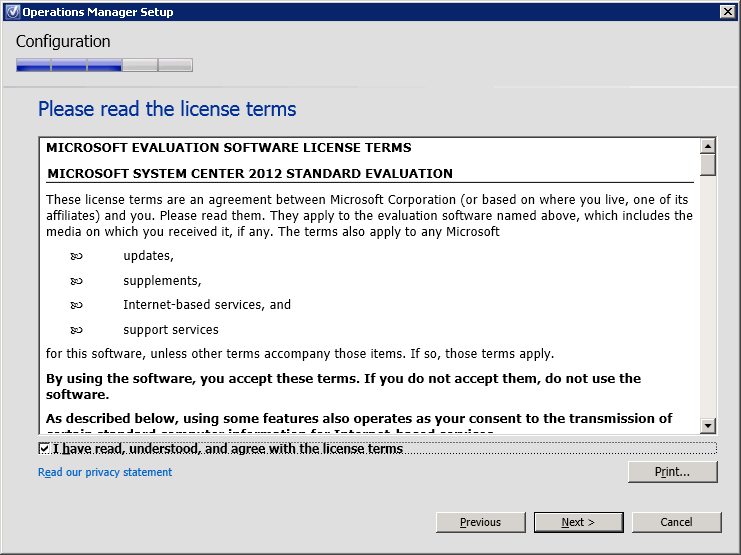 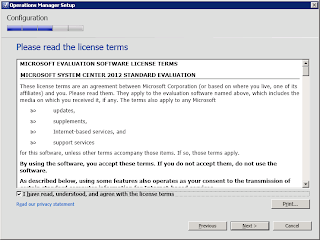 Microsoft reommends this type of deployment for evaluation and testing purposes. 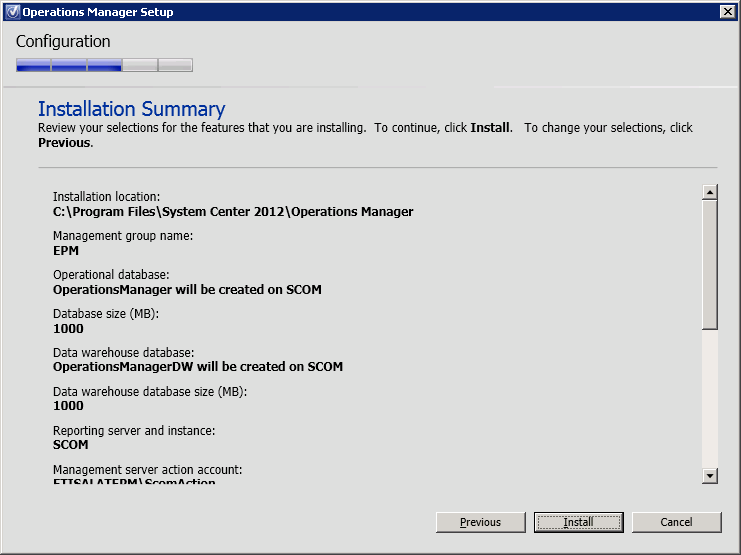 I have created an active directory group ScomAdmins with local admin rights to the SCOM servers and SQL sysadmin role. 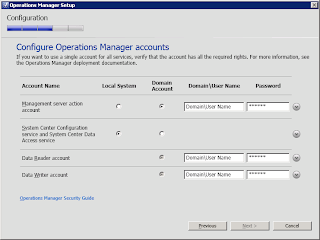 I also created the following service accounts. 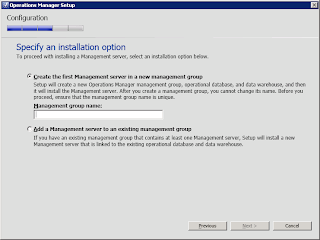 Type in the name of the Management Group and proceed. 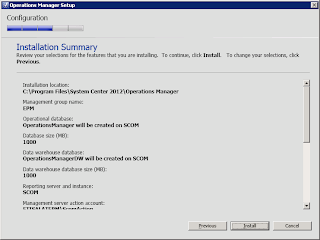 Previously in SCOM 2007 you could have only 1 root management server, SCOM 2012 allows the management server role to be assigned to multiple servers making it easier to acheive high availability. 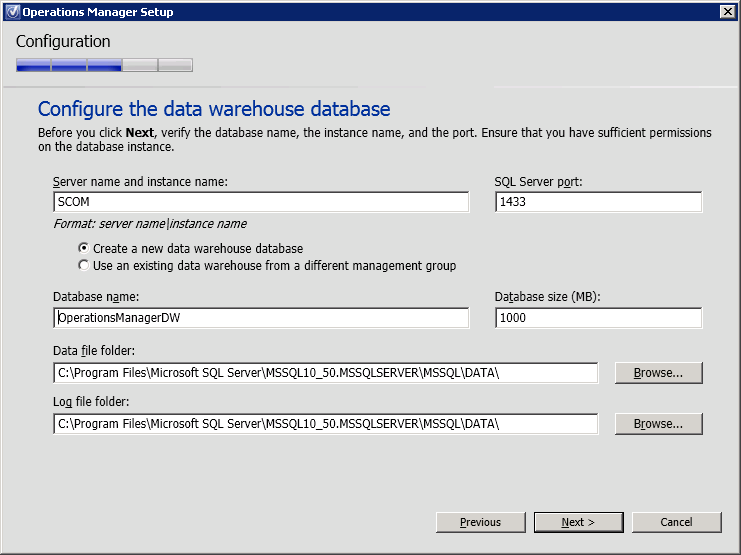 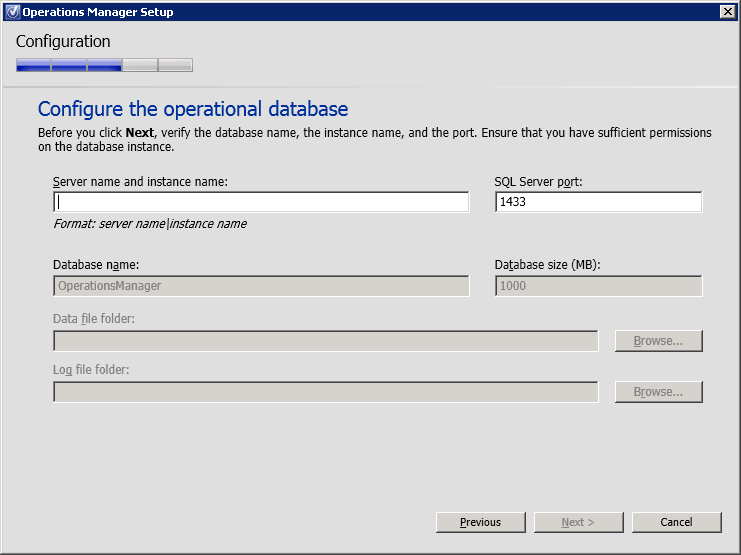 Type in the name of ﻿the SQL server and wait for setup to verify, in my case it is the same server. 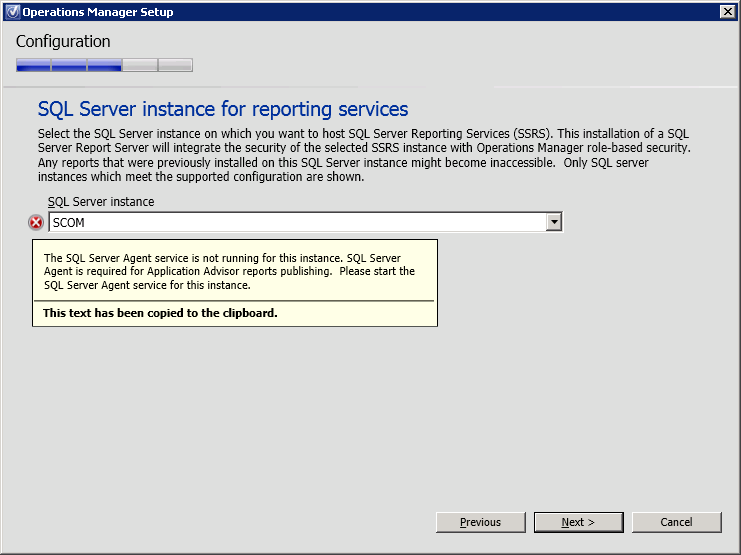 Setup will probe next for available Reporting Services installations. 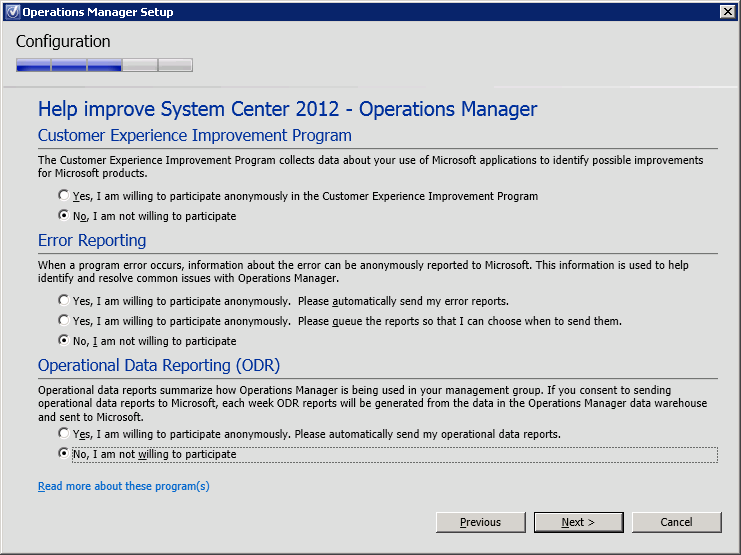 If there is a problem hover over the red X for details. 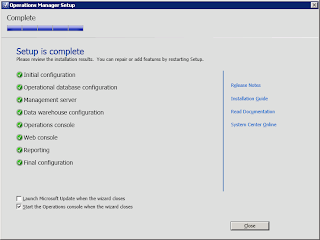 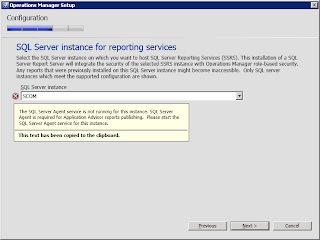 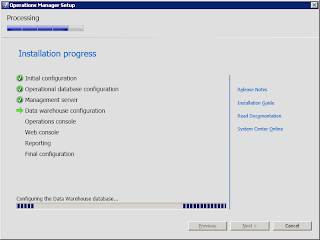 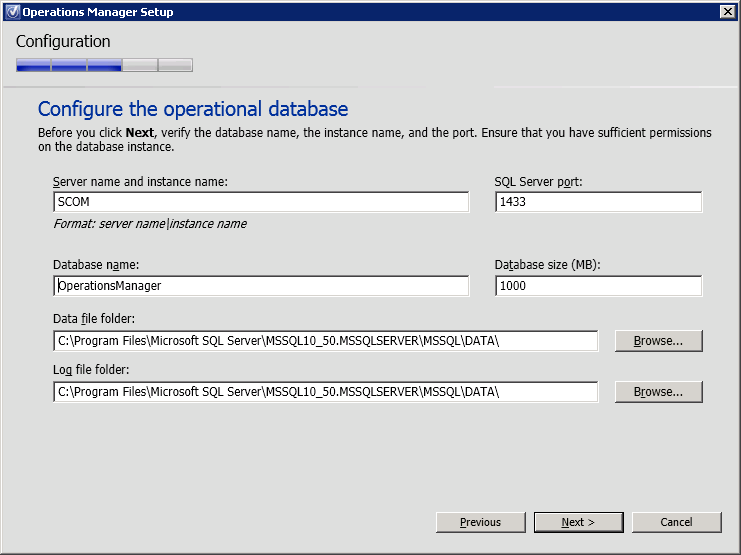 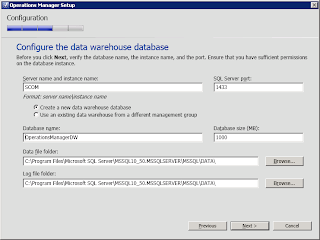 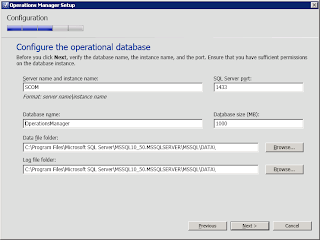 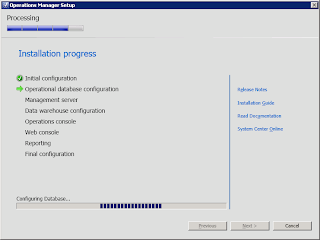 Resolve any issues and proceed, in my case the SQL Server Agent service was not running so I started and set it to automatic from the SQL Server Configuration Manager. 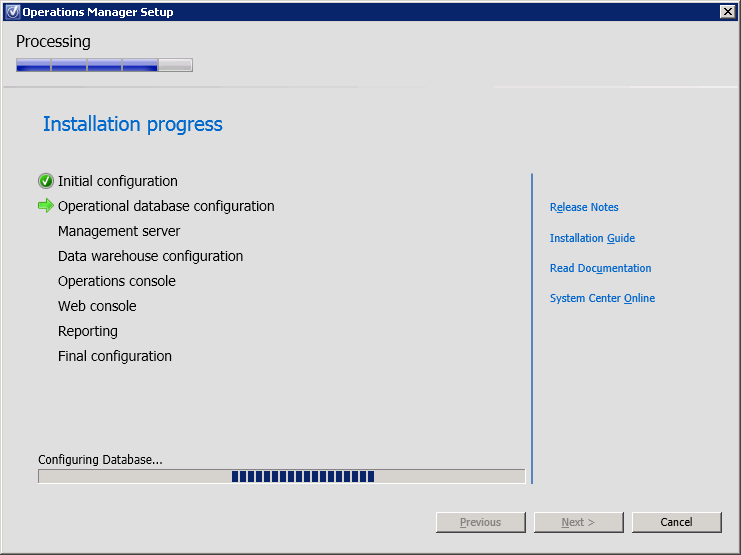 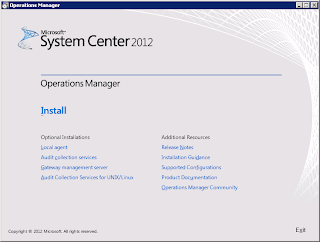 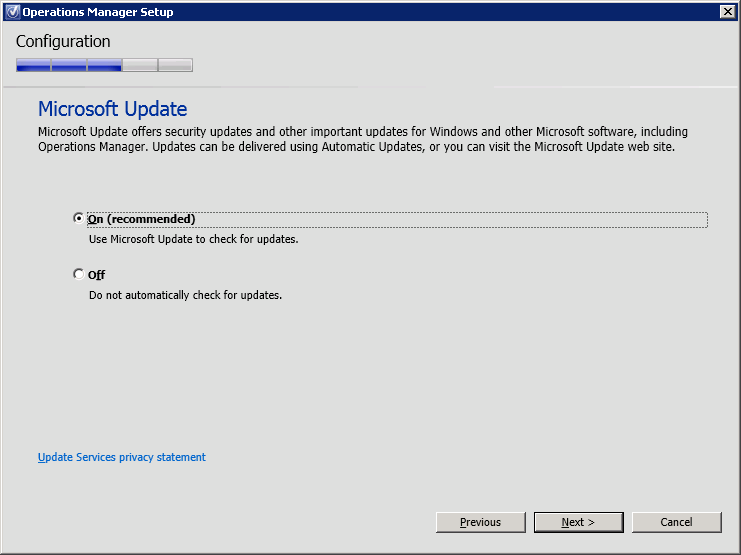 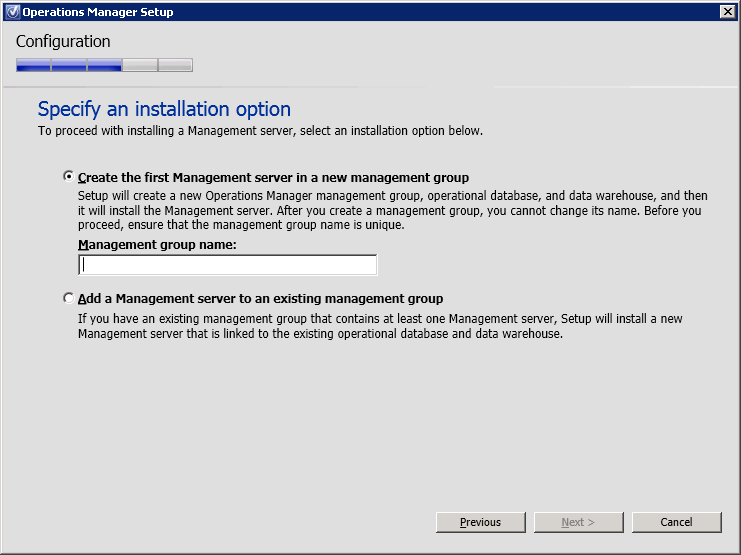 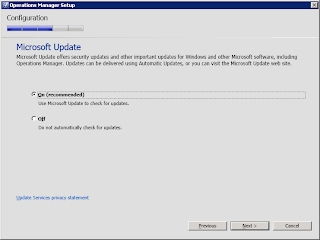 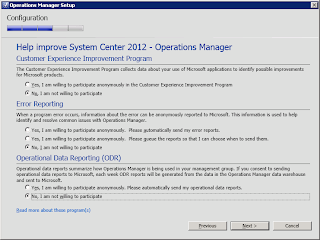 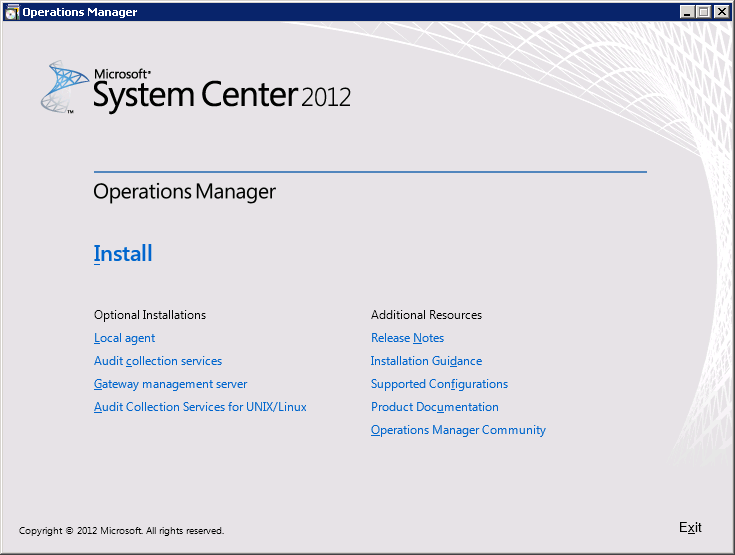 SCOM 2012 is now installed. 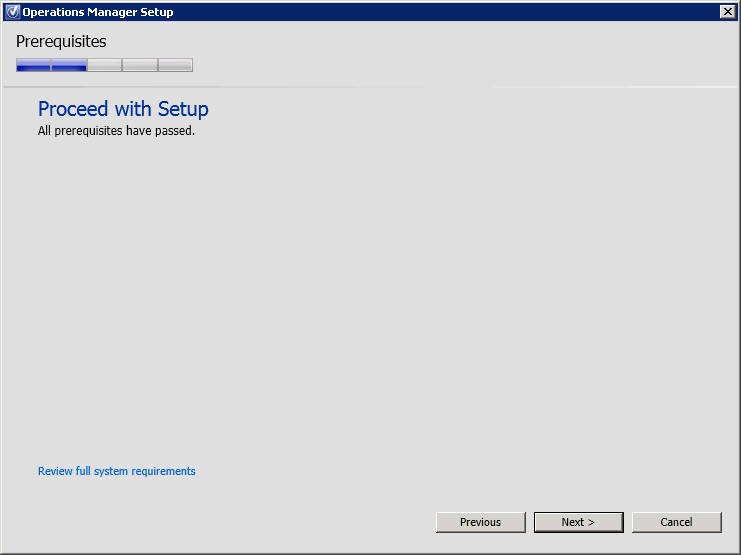 You should then import the management packs you need and discover the devices to manage. 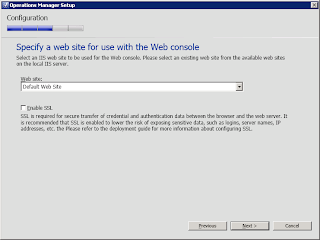 Bluehost is ultimately the best hosting company for any hosting services you might need.